I get My Paper Pumpkin every month, but have been lax at making them up. I decided that I was going to start making them as I find them fun. I like making the regular kit per directions, but I also love to be creative with the supplies. Here is what I created with the January 2017 Adoring Arrows Paper Pumpkin Kit! 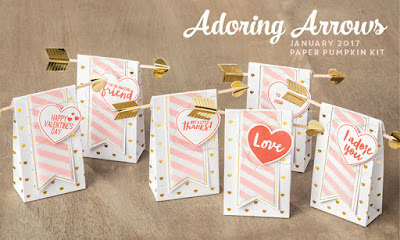 The kit is designed to create the little candy bags. I made some of those, and had fun. I'm going to make up a bunch of them for the Ronald McDonald House in Marshfield as a treat for February. I made some 3x3 Love notes with Real Red and a panel of one box. I also decorated a little box to put some treats in for Don. The thicker box was made by just cutting the ends differently to seal it up as a box. 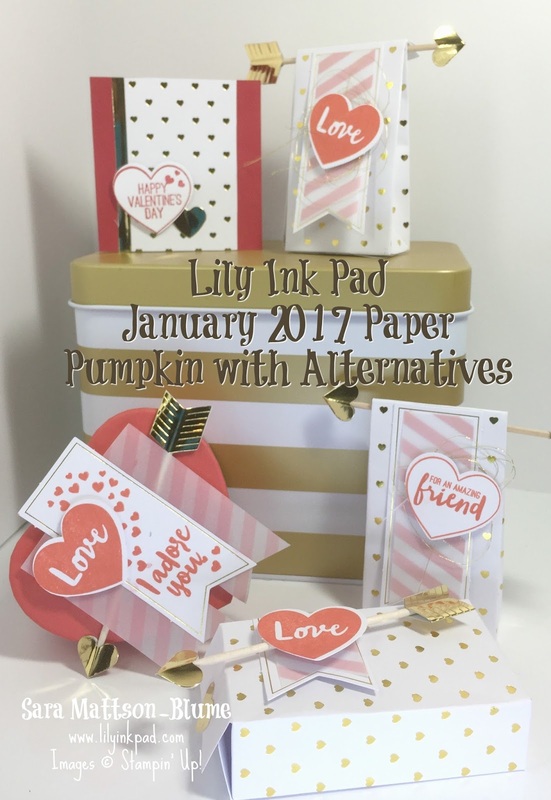 If you want to get a surprise crafty kit each month, you can get My Paper Pumpkin Kit from this link. 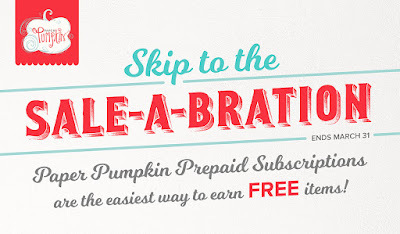 During Sale-a-bration, you get a discount and can earn a free Sale-a-bration item. (you pay shipping).